Loras is dedicated to peace and justice and we are called to do our part to build a sustainable world where conflict is reduced and resolution is more easily achieved. We can make a difference and give hope to those suffering injustice. Loras offers a peace and justice minor and many opportunities for students to get involved. Students can broaden their awareness of Peace and Justice by collaborating with a professor, joining a student sponsored organization, initiating an independent research project , studying abroad, pursuing a related internship, signing up for server work, and much more. 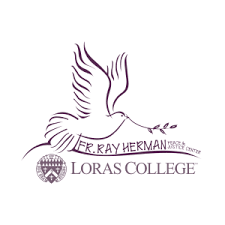 Loras is proud to be the home of the Father Ray Herman Peace and Justice Center. Established in 1982 in memory of Fr. Herman who was murdered in 1975 after thirteen years of serving the spiritual, medical and educational needs of Bolivia’s poor. His dedicated commitment to the Gospel message of justice and peace lives on in the center’s mission to create a more decent, loving, just, and peaceful human community. Peace and Justice Week—In conjunction with the International Day of Peace, Loras plans a collaborative week that highlights the vast number of student groups that are working for Peace and Justice on local, national and international ways. Sustainability—Loras’ Green Team consists of faculty, staff, and students that work together to promote environmentalism on a personal level, in the classroom, in our campus community, and beyond. Baltimore/Washington, D.C. Social Action Trip—This trip combines the two “feet” of Catholic social engagement–direct service and social change. During this trip, the team serves the homeless and marginalized of the D.C. area in schools, soup kitchens, and other social service agencies; as well as make opportunities to lobby in Congressional offices and visit with those who do so professionally on behalf of the poor. The week ends with a retreat with Jonah House Faith and Resistance Community. Global Awareness Week—Global Awareness Week focuses on making students and the community aware of everything going on around us. We are called to Be More by sharing the gifts God has given us as well as be stewards of God’s creation both humanity and the environment. Mike Valder (’62) created this award in 1988 in memory of his late brother Robert Valder (’60) who was a civil rights activist.  What started as an award in name and in a financial contribution to a student’s tuition, transformed to an 8-10 week summer experience working at a social justice organization. Juniors going into their senior year have worked at places such as The National Interfaith Committee for Worker Justice (currently IWJ), Network (a Catholic Social justice Lobby in DC), Catholic worker houses and farms, immigration and refugee service organizations, and community organizing agencies. My Valder summer was a transformational time for me. During my summer, I worked on a local “Janitors for Justice” campaign and and lived in a Catholic Worker house with newly arrived refugees. The summer allowed me to experience Catholic Social Teaching firsthand. I was connecting with people on an individual level, while also starting to grapple what it meant to work for change on a systems level. My Valder summer gave me a strong social justice foundation. Upon graduation from Loras College, I spent a year as an Amate House volunteer, working as a case manager for asylum seekers in the United States. I then completed my masters in social work with a community health concentration. I now work with a not-for-profit hospice as a social worker where I am able to walk with patients and families as they navigate the end of life journey. My current place of employment encourages me to stay politically active and to work on issues that would benefit those we serve. The Father Ray Herman Peace and Justice House Residents strive to live in a way that promotes justice and encourage others on campus to be aware and active about bringing change to the injustices taking place in today’s world. This community hosts weekly meetings as part of the Peace and Justice Community at Loras to discuss social justice issues, raise global and local social justice awareness, advocate for peace, and sponsor service and charity fundraisers. The Father Ray Peace and Justice House works in conjunction with Campus Ministry. Loras College was the first college established in Iowa, the first Catholic College in the Midwest and the fourth Catholic College in the nation to sign a Fair Trade resolution. Loras College signed a resolution in May 2012, designating it as a Fair Trade College; governed by Fair Trade Colleges and Universities, which aims to seek equity in trade and promote sustainable development. Loras alums Kate Pollack (Russell) (’11) and Yvette Andersen (’11) applied for and received a Catholic Relief Services grant of $5,000 in 2009. They were instrumental in spearheading Loras’ push toward fair trade status. Russell and Anderson found it helpful to link their work toward fair trade with Loras’ Catholic faith tradition’s strong stance toward protecting the dignity of work. Through informal coffeehouse gatherings and speakers, they spread the word about fair trade. The challenge for Loras continues to be the lack of availability of fair trade products, and some are prohibitively expensive compared to their non-fair trade counterparts.